How do you live a more ‘green-ish’ existence, while being practical about it? That’s a good question. My name is Jay, I have been thinking about that and some other interesting life-style questions lately. I decided to share my thoughts and experiences leading to my objective of building a green, sustainable, home in Redhook on the Southwest shore of Brooklyn. 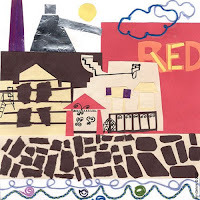 I will attempt to step, you the reader through the daily challenges and rewards of this project I call “Redhook Green”. So how did I get here? Read on.